Hematite is a type of iron ore and one of the most common minerals on the planet. The color of most red and brown rock, such as sandstone, is caused by small amounts of Hematite. It is also be responsible for the red color of many minerals. Hematite has wide variety of industrial uses including coal, pigments, polishes, X-ray blocking in medical equipment and is used as ballasts in ships. NASA has discovered that hematite is one of the most abundant minerals in the rocks and soils on the surface of Mars. An abundance of hematite in Martian rocks and surface materials gives the landscape a reddish brown color and is why the planet appears red in the night sky. It is the origin of Mars' "Red Planet" nickname. 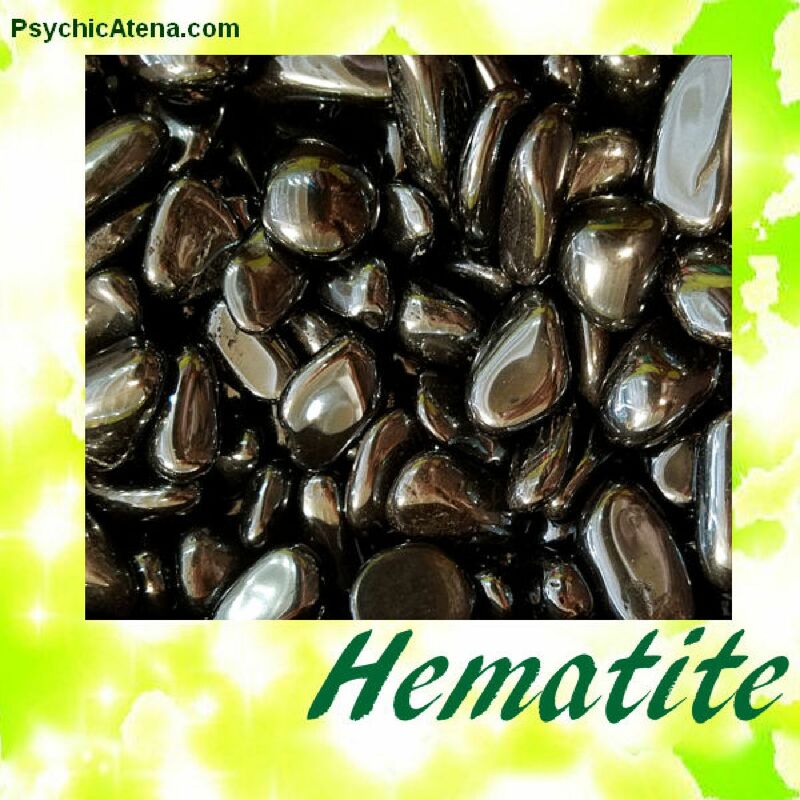 Hematite draws out illness from the body and is considered an all-around healer. It is said to cam the nerves and clear the mind, providing stability and courage in psychic and spiritual work. Hematite is an excellent stone for grounding and enhancing perception keeping a strong connection to the earth plain during astral travel and other spiritual work. It is known to stimulate the blood circulatory system and help maintain high energy, keeping fatigue at bay. It is highly reflective and absorbs dark energies which is very helpful in protection against energy vampires and spiritual attacks and deflecting hexes and ill-wishers. Wards off judgments and envy, weather intentional or not. Hematite inspires Grounding, balancing, enhances memory, break free from limitation.